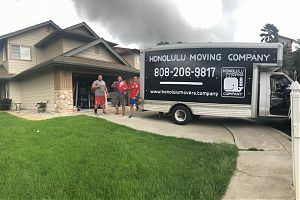 Whether you are moving to another part of your city or to the next block, you need the services of 🚚 Honolulu Moving Company ★★★ – a name you can completely rely on for the best moving experience. Our expertise lies in local moving services. All of your belongings including fragile items, large, heavy appliances and furniture will be moved to the new address in a hassle-free manner. There are numerous other Oahu movers but when it comes to quality of services and standards, none can match us. We handle all aspects of relocation in an efficient and streamline way. All of the usual hassles and chaos associated with the relocation process are eliminated. At first, a comprehensive plan is devised by our expert and experienced Honolulu movers. It is made after thoroughly considering all the wants and needs of each client. This include descriptions of belongings they have to carry, the distance between the existing and new address, and the fragility of items. Once the plan has been formed, it is executed by our professional movers. We have equipped them with advanced moving supplies, which they use to transport all the goods in a safe and damage-free manner. 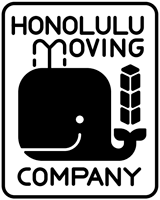 A factor that makes us the best moving company, Oahu is our competitive rates. Our services are top-notch and rates are nominal. There are no hidden charges added to the total. Therefore, you can trust us for the best local moving services.